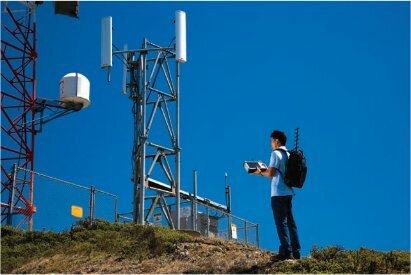 The wireless communication sector evolves by the day and engineers require the most sophisticated rugged tools and technologies to keep up with and meet the demands of this fast-paced environment, and to stay ahead of problems. Wireless technicians need cable and antenna analyzers that are user friendly, can complete sweeps fast, carry out calibrations almost instantaneously, and implement fast trace naming in the field; not just to maintain legacy networks, but also service and repair 3G and 4G network infrastructure. 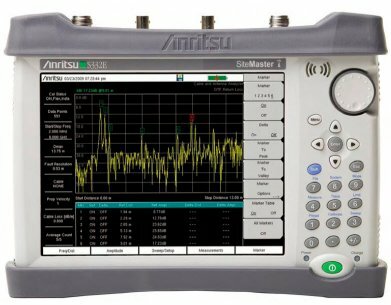 The cable and antenna analyzers from the Anritsu SiteMaster series meet the demanding testing required for maintaining and troubleshooting wireless communication site tests. The Anritsu S810A, the Anritsu S331D, and the Anritsu S332E can help service a larger number of base stations than most competitive products. And if you acquire a refurbished site master, the user can reap these advantages without paying list prices. The Anritsu S810A cable and antenna analyzer is undoubtedly one of the best of its family that lets you monitor, troubleshoot, and repair microwave communication systems. This powerful portable and lightweight instrument is a great tool for field engineers and on-the-move technicians who can conveniently carry and use this analyzer to detect anomalies in the cable feedline and the antenna system before these evolve into costly system failures that lead to much downtime. The Anritsu S810A has superior immunity to interference from ambient RF signals and can detect long range problems with as many as 517 data points. So, it is evident that the S810A’s small size in no way has negatively affected its accuracy for field use. The USP of the Anritsu S331D cable and antenna analyzer lies in its sensitivity. It can convert frequencies of up to several 10s of GHz into measurable figures to help you analyze easily. It can throw up very accurate return loss/SWR figures, precisely measure fault locations, and instantly detect anomalies in RF transmission lines and antenna systems. 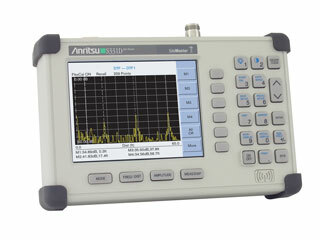 The Anritsu S331D is thus the ideal test instrument for a diverse range of applications; to isolate antenna systems, detect interference from co-channels, characterize components, align satellite antenna, and measure occupied bandwidth, and adjacent channel power. 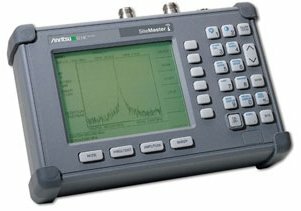 The superiority of the Anritsu S332E stems from the fact that the instrument combines a cable and antenna analyzer with a spectrum analyzer. This is the latest version of this popular series of products. This integrated instrument can accurately measure return loss, VSWR, phase, distance-to-fault, and cable loss and has an impressive dynamic range that is greater than 95 dB in the 10 Hz RBW. The speed and the precision offered by the Anritsu S332E even under rigorous field conditions let you detect and repair minor faults in wireless communication systems before they blow up into costly issues. The S810A, S331D, and S332E range of cable and antenna analyzers bear the Anritsu stamp of power, precision, and performance and let you vastly improve upon the conventional fix-after-failure model of operation in the wireless communication sector that in the long run, saves money. What Pricing Can I expect? Generally most SiteMaster models can be purchased outright for $10,000 USD or less, depending on options. We offer many lease to own payment plans to help our smaller USA contractors acquire this technology without heavy up front costs. These instruments pay for themselves and can be found anywhere in the world 24/7 performing critical measurements to keep wireless networks functioning to their maximum capacity. Outside the USA these instruments are usually purchased outright, as financing availability varies, based on each country. We also have customers that prepay and travel to our facility for pick up because of the SiteMaster’s portability. Learn More about Antenna Analyzers here.